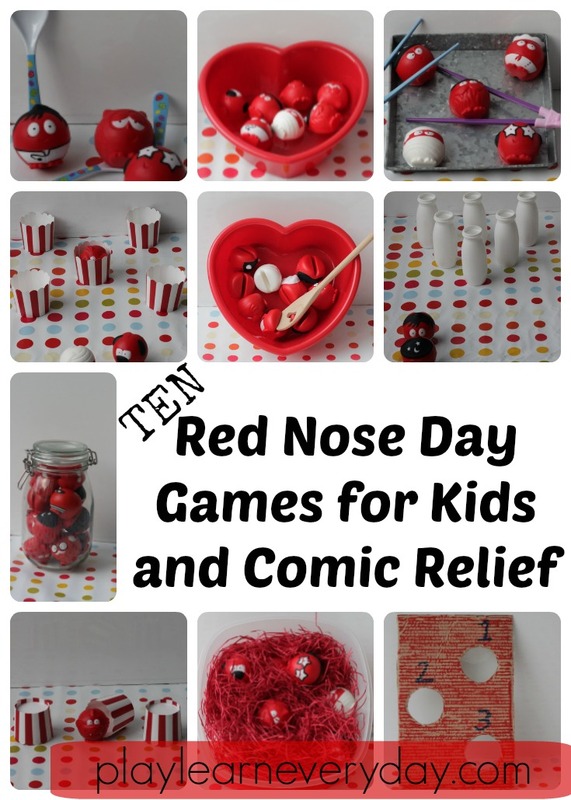 Red Nose Day is on Friday March 24th this year, and we are so excited to be teaming up with Comic Relief and Pinterest to bring some really fun games to play with children for your fundraising event. These are all super simple to set up, the kids will have a blast playing them and best of all you're sure to raise some money for a very important cause. These would work well at school, for a play date with friends or at any kids club. 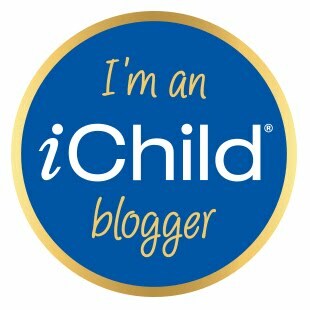 The children can donate money to attend or pay a donation for each game that they want to play. 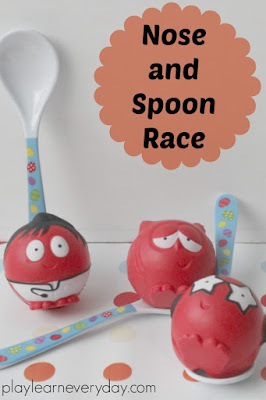 This one is just like an egg and spoon race that you would play for sports day, so the kids should be familiar with it. 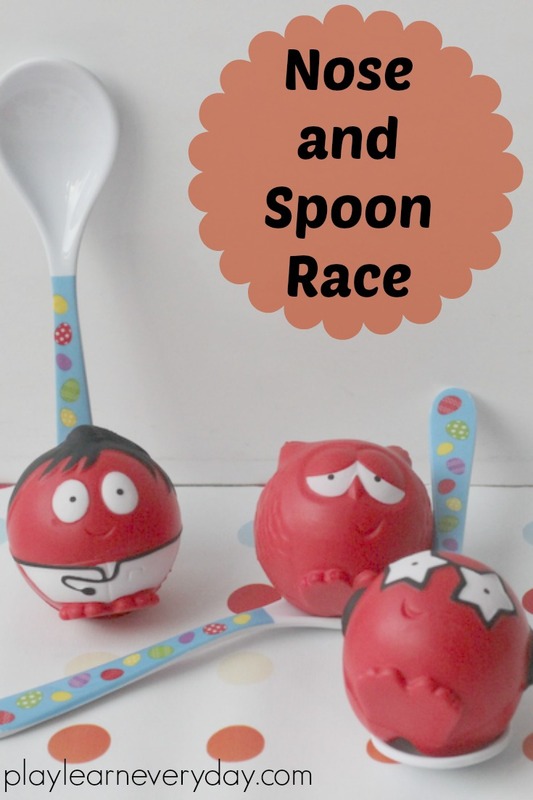 Our rules are that you choose a nose and balance it on your spoon, put your other hand behind your back and try to get to the finish line without dropping your nose. If it drops, go back to the starting line and try again. The kids thought it was hilarious with noses dropping all over the place, a great first game to get everyone in the mood for fun! 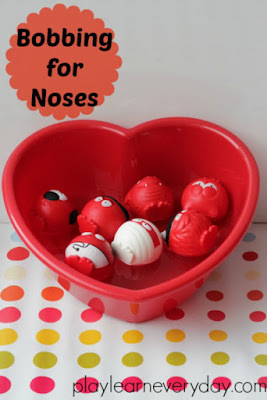 This one is just like bobbing for apples, except that you need to be careful not to sink your teeth too deeply into the noses (they're not for eating!) Each child gets a turn to pick up a nose floating in a bucket of water using only their mouths, we put hands behind our backs and try to pick up a nose as quickly as we can. You can use a timer for this one to see who is the fastest! Here's one that we made up just for Red Nose Day, because who doesn't love to pick their nose? We're making it tricky by using chopsticks to try and pick as many noses as we can in 30 seconds. 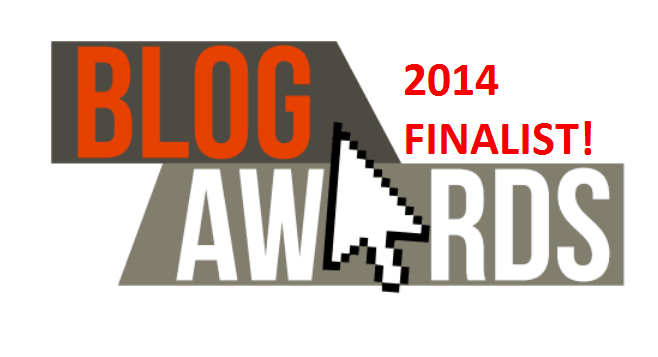 Who will be the nose picking champion? 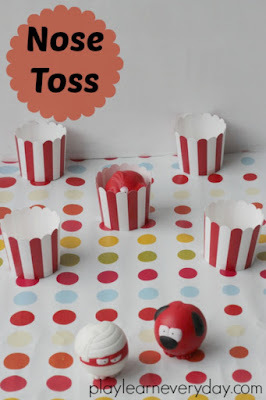 Every fair always has a variety of games where you need to toss a ball into a bucket or a small fishbowl, so our version uses Red Noses that need to be tossed into little cups or bowls. We had lots of fun with this one but I would say that you're probably best using some sturdier cups and fixing them to a surface as ours were falling over making it even more challenging! One of my kids' favourite games at the fair is always hook a duck, so of course we had to come up with our own variation of a classic. This was a tricky one as I couldn't quite find a hook that would do the job well (so please do let me know if you find a better option and I'll add it in). Any hook that I attached to the string either damaged the noses or was just impossible to manoeuvre to pick them up. 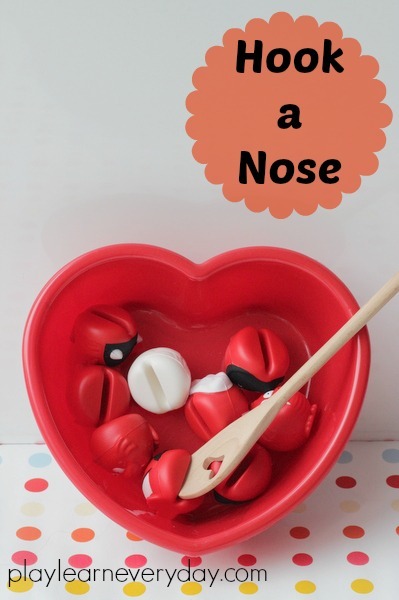 So we simply used a wooden spoon as our fishing rod and found that when there are just a few noses in a large bucket it is still quite a challenge to get the wooden spoon into the opening to pick up a nose. This is another one that you can use a timer for and see who can get the most in 30 seconds. 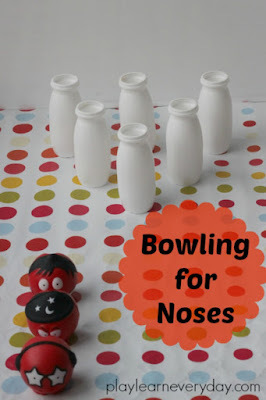 Of course there's got to be a bowling game and we love the little bottles that drinking yogurt comes in as they look just like tiny bowling pins. So we simply set up the little bottles in a bowling pin formation and took turns rolling our chosen noses to see how many pins we could knock down. 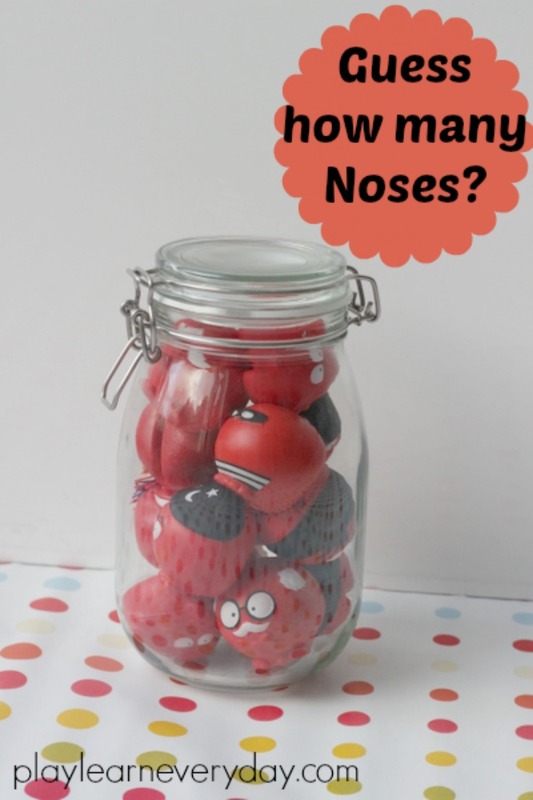 This is a really easy one to have set up as everyone arrives at your fundraising event, simply fill a large jar with as many Red Noses as you can squeeze in there and leave out some paper and pens for everyone to write down their guess of how many noses are in the jar. I've also found a few Red Noses from previous years and popped them in there just to add to the mystery. If there's one game that I'm terrible at it's finding a ball that's been moved around under a cup, I always get it wrong! So it's definitely a fun game to play with kids to see how good their observational skills are. 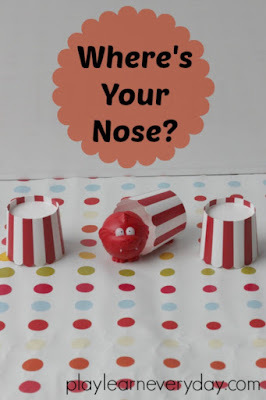 Get the person with the fastest hands to put a Red Nose under one of three cups, then mix them up and move them all around and have the kids guess where it is now! 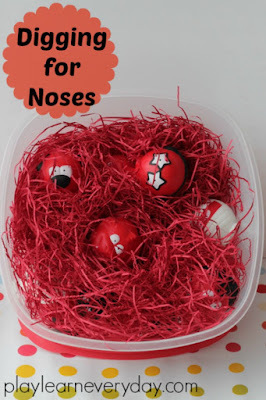 This is a fun one for little kids, using any sort of sensory material as a base, I've used some shredded red paper, but red lentils or rice that you've coloured red (like we've done here with our Rainbow Rice) would work great too. 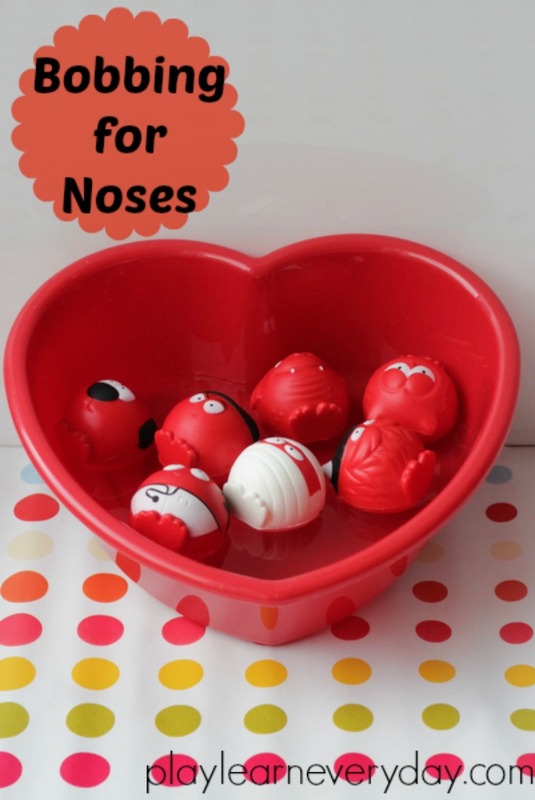 Then hide lots of noses inside and see who can find the most in 30 seconds. For this one I used a piece of cardboard from a large box then cut three large holes in it and painted it red. Then I wrote the numbers 1, 2 and 3 above each of the holes. 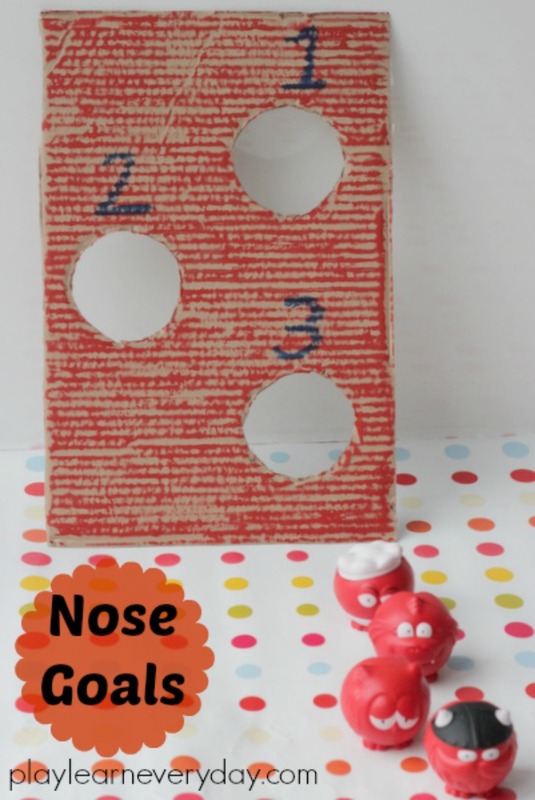 The goal is to throw five noses at the board and add up your total score to see who scored the most points. Of course the winners can't go unnoticed, so the champions of each game win a small bag of Maltesers! Of course we love Maltesers, and as another sponsor of Comic Relief it's even more support for the cause. I simply split up a big bag into small sandwich bags and tied them off with a red ribbon. The kids were very excited to get their prizes! 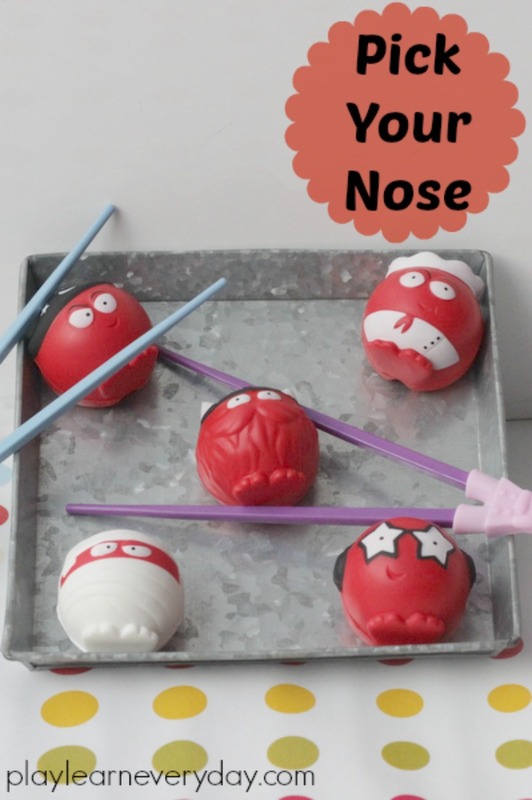 If you would like to hold your own fundraising event, maybe a play date with all the kids' friends, an event at school or other children's group then order your free fundraising kit from Comic Relief.